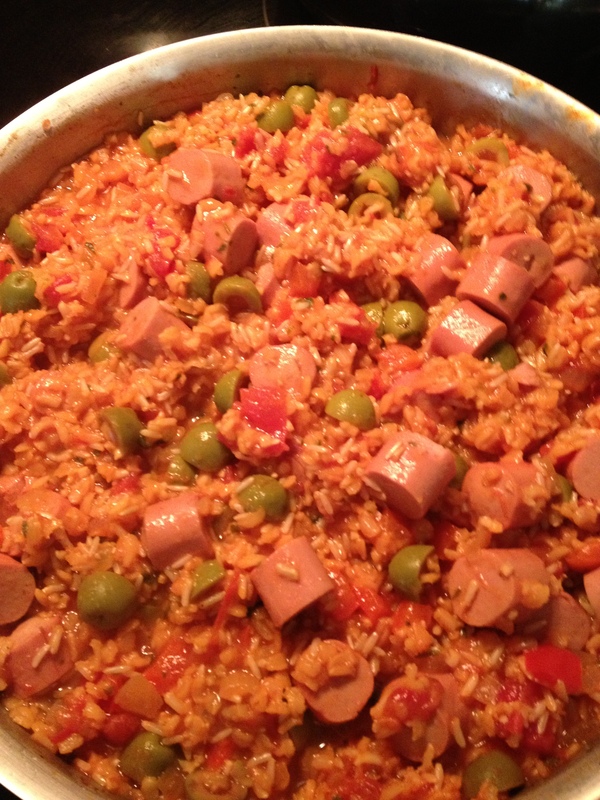 This is a traditional Puerto Rican dish made with rice and vienna sausage. This is my take on it, and I do not promise it is exactly traditional. I do promise it is delicious though! I was fortunate enough to grow up in an area diverse enough to teach me an appreciation of many cultures, and their foods. I would not trade this experience for anything. 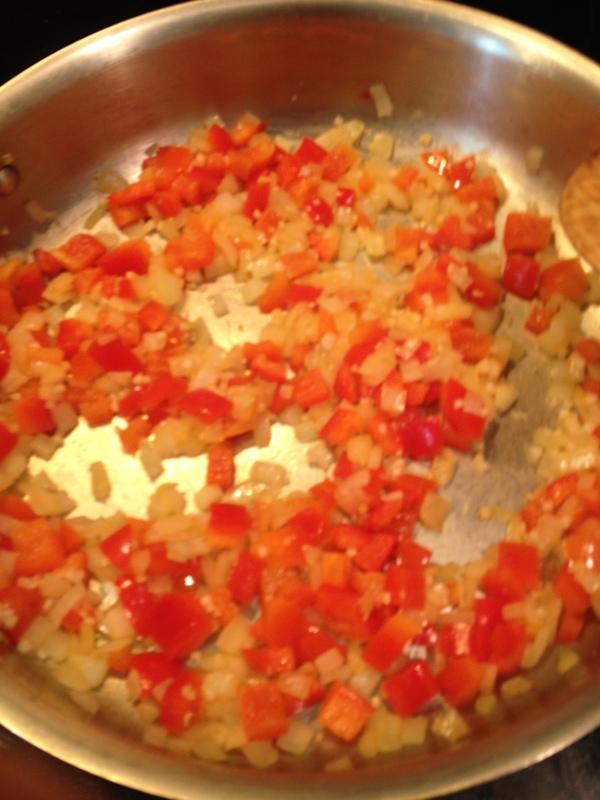 First the aromatics…this should be sofrito, but since I didn’t have any on hand, this is my substitution. 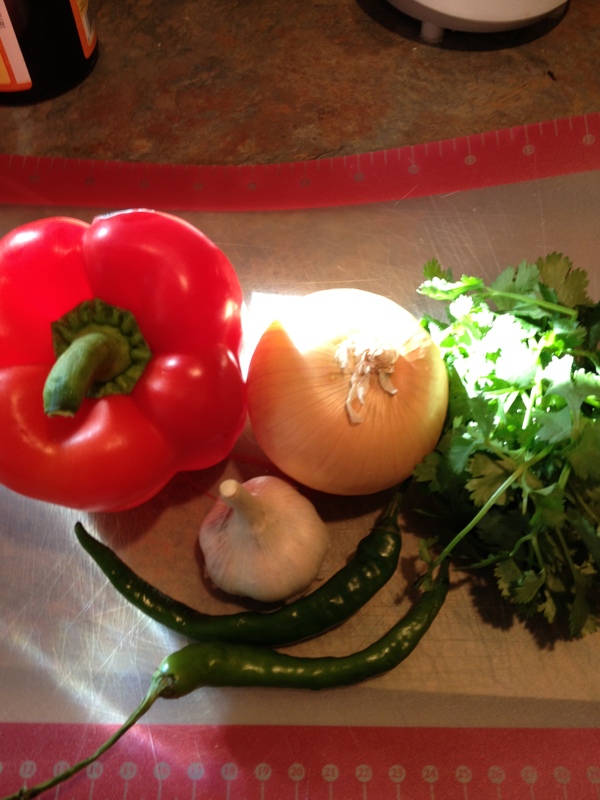 Dice one onion, one red pepper, and a handful of fresh cilantro. 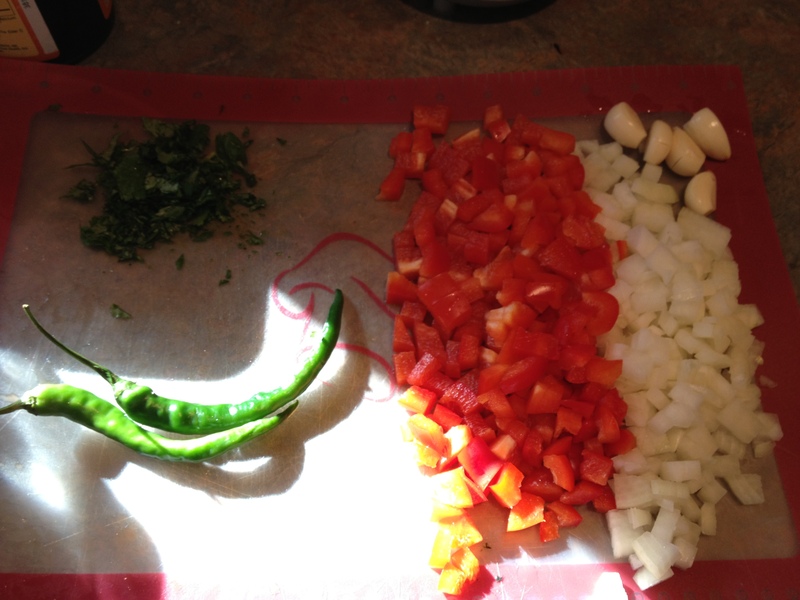 The four cloves of garlic will go through the garlic press, and the two green chilis will go in whole. We want their flavor, but not too much heat. 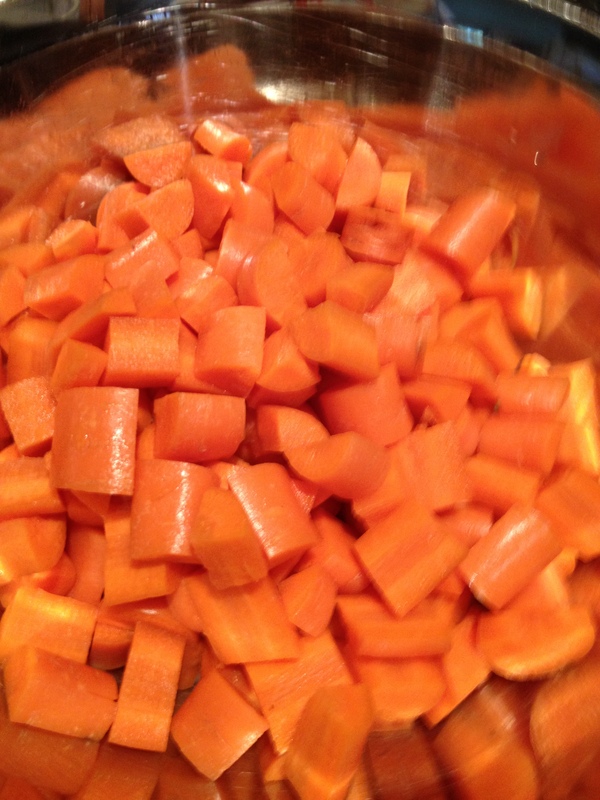 All diced up and ready to go! Heat up two turns of extra virgin olive oil. 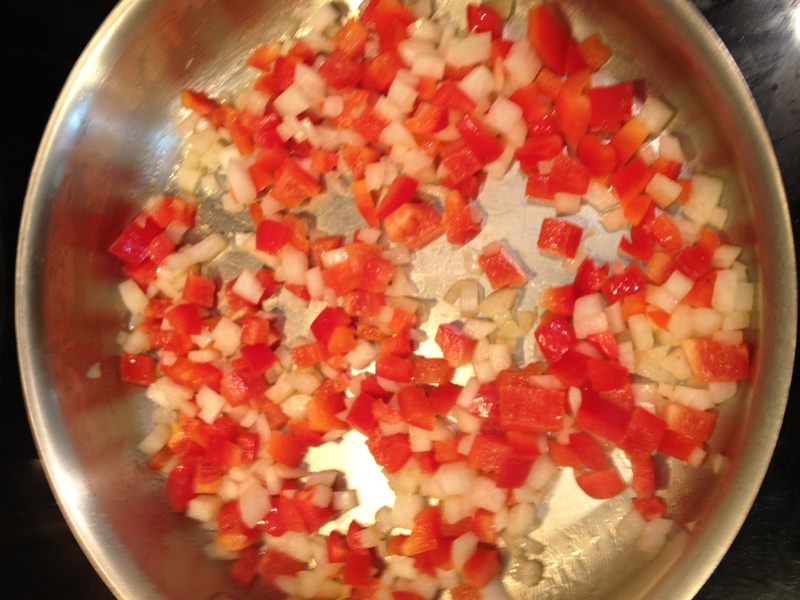 Once hot, add the onion, red pepper and garlic. Saute until the onions are golden. After five minutes or so, the onions are nicely golden and the peppers are starting to soften. 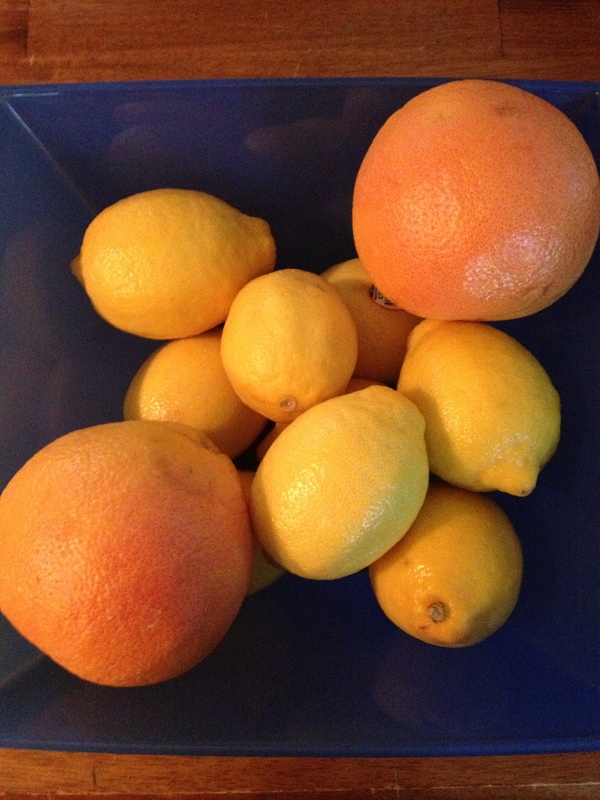 The remaining ingredients. 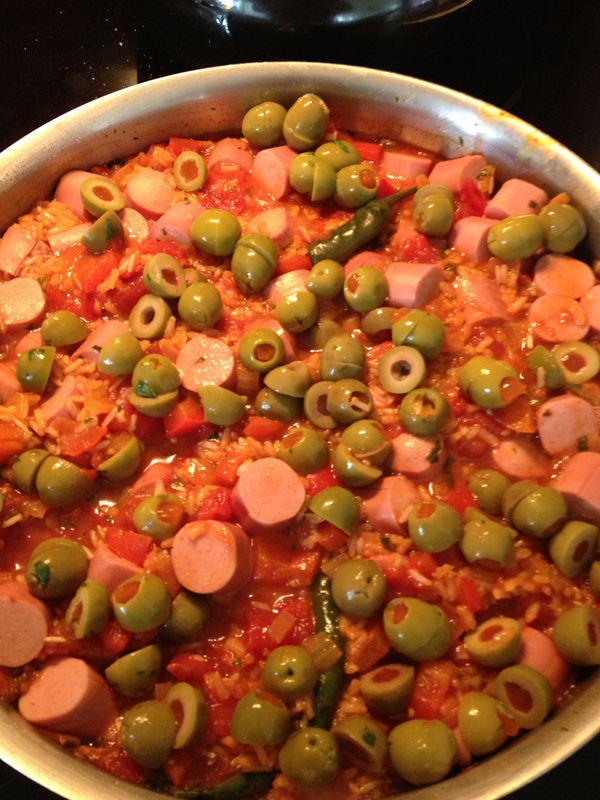 Brown rice, vienna sausage, unsalted diced tomatoes, unsalted chicken stock, olives stuffed with pimento, and Sazon. I may not be Puerto Rican, but I always have Sazon in the pantry! Love this ingredient. 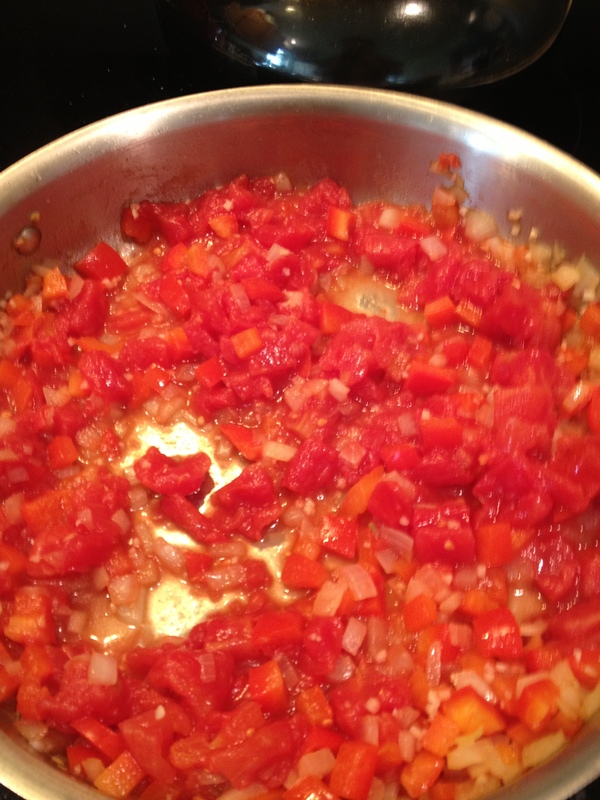 Now it is time to add in one can of unsalted diced tomatoes and stir well. 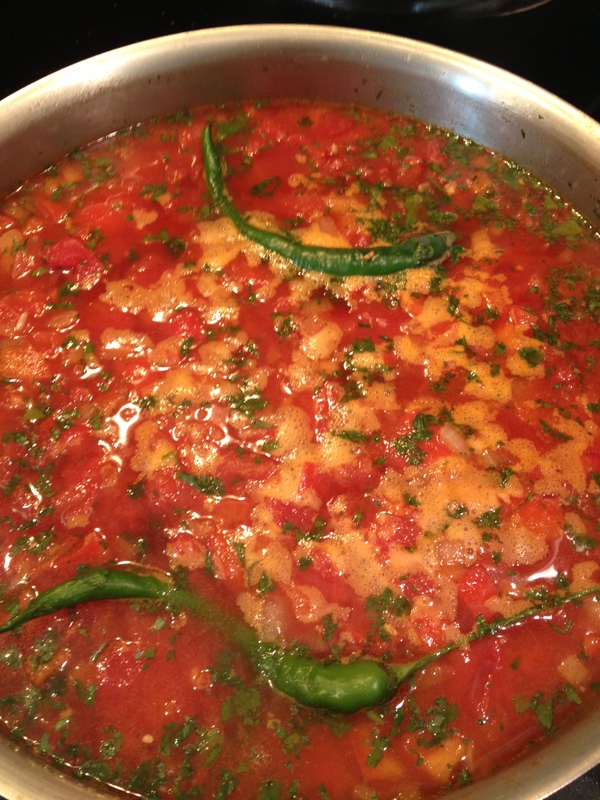 I always use unsalted tomatoes and broth so that I can control the amount of sodium in our diet. 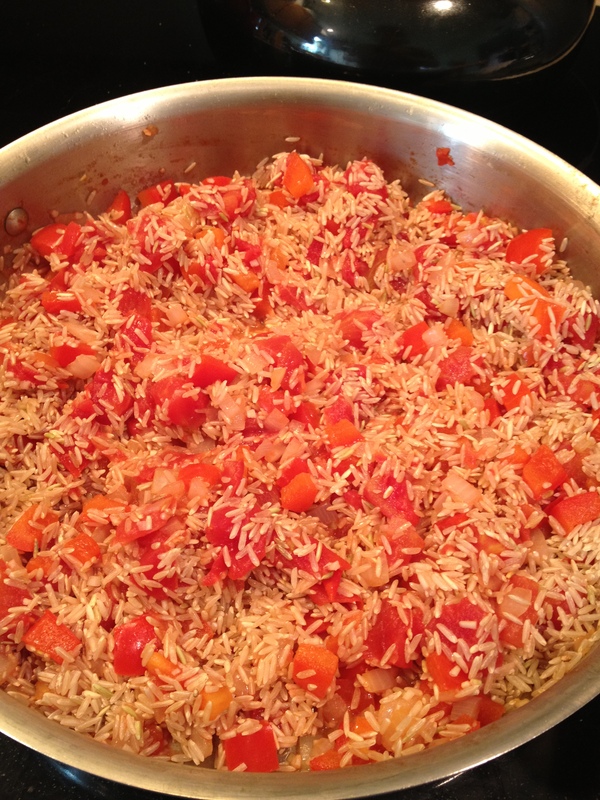 Add in two cups of long grain brown rice. I am sure in the traditional dish it was not brown rice, but it is healthier and I like it, so I use it. 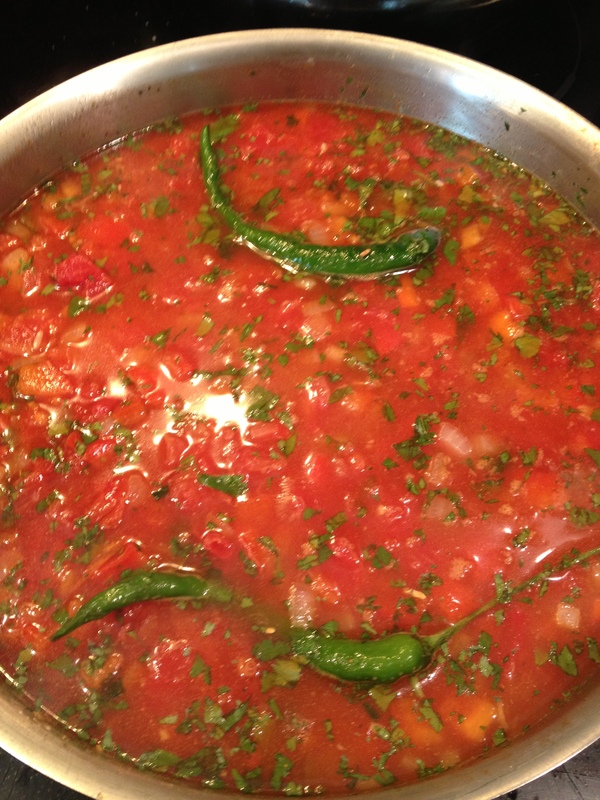 Add in three cups of chicken broth, the green chilis, cilantro, cumin, salt, pepper, and Sazon. 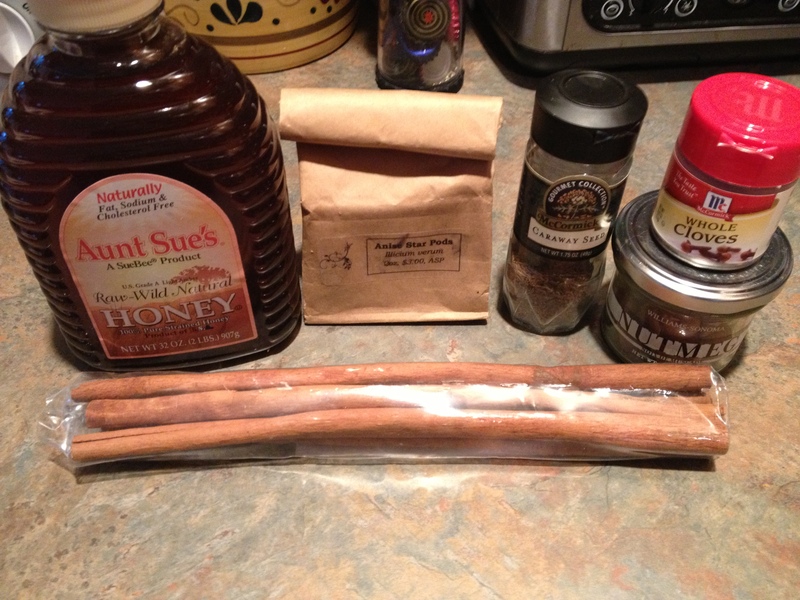 Stir well to combine all these wonderful ingredients. Bring to a boil for ten minutes to start the rice, then reduce the heat to medium-low and simmer, covered, forty-five minutes. 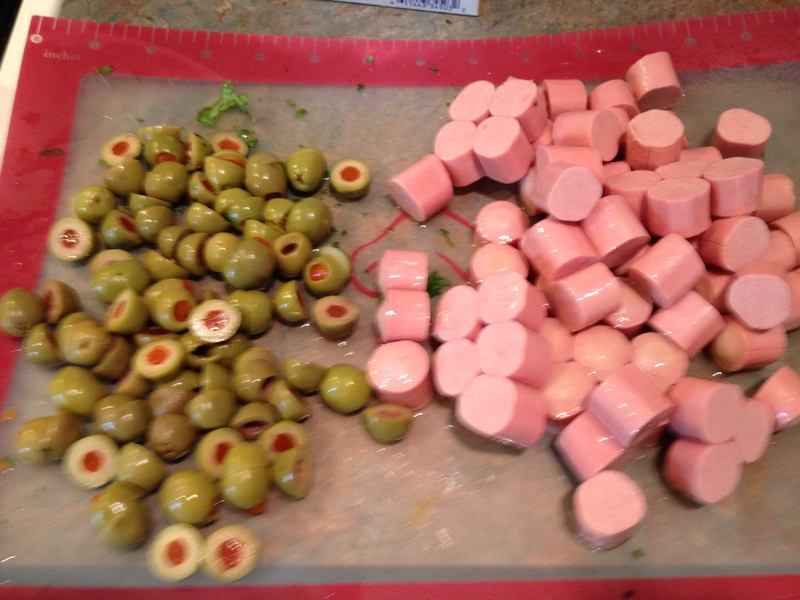 Meanwhile, cut the olives in half and the vienna sausage in thirds. 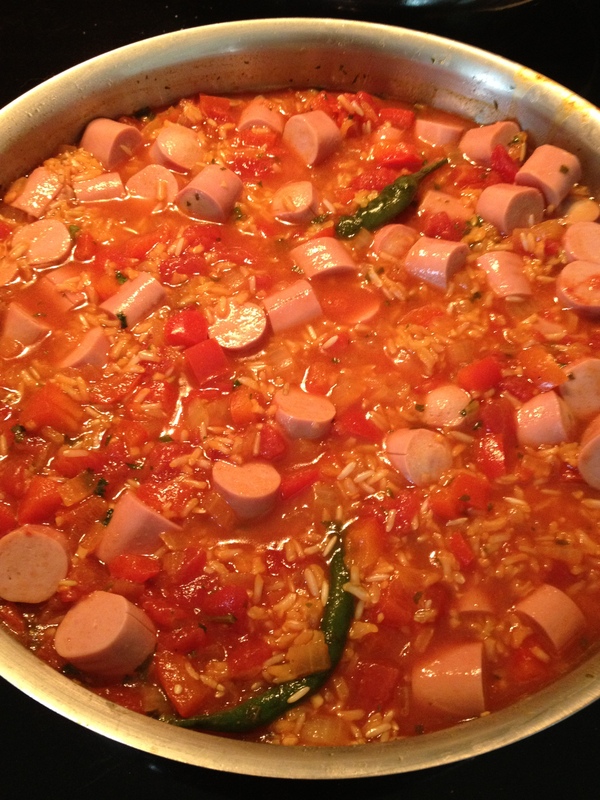 At the thirty minute mark, add in the vienna sausage and nestle them down in to the rice. 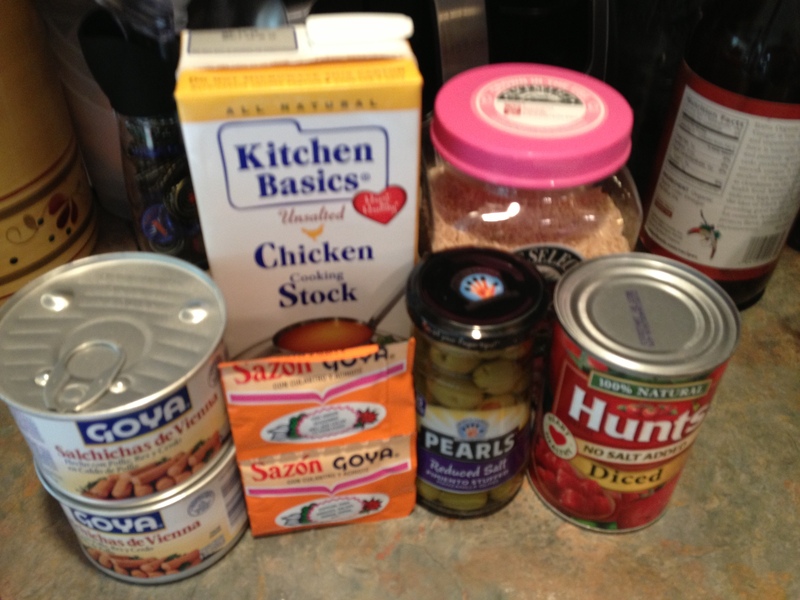 At the forty-five minute mark, add in the olives, and remove from the heat. Do not remove the lid. Allow to rest comfortably for fifteen minutes. 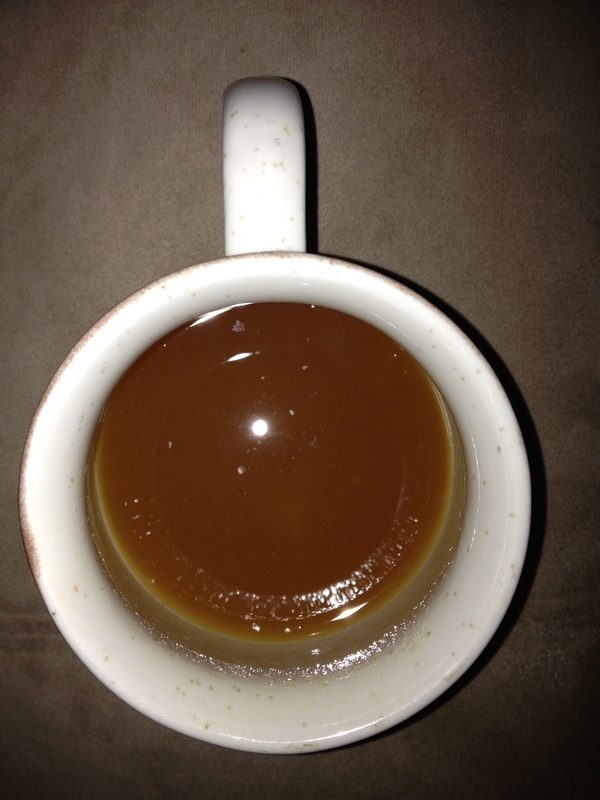 When the fifteen minutes is up, all of the liquid should be absorbed. Fluff well with a fork and serve. Since this dish looks so nice right in the pan, this is how I prefer to serve it. Consider it rustic family style. This spicy savory dish will delight your senses with every bite! 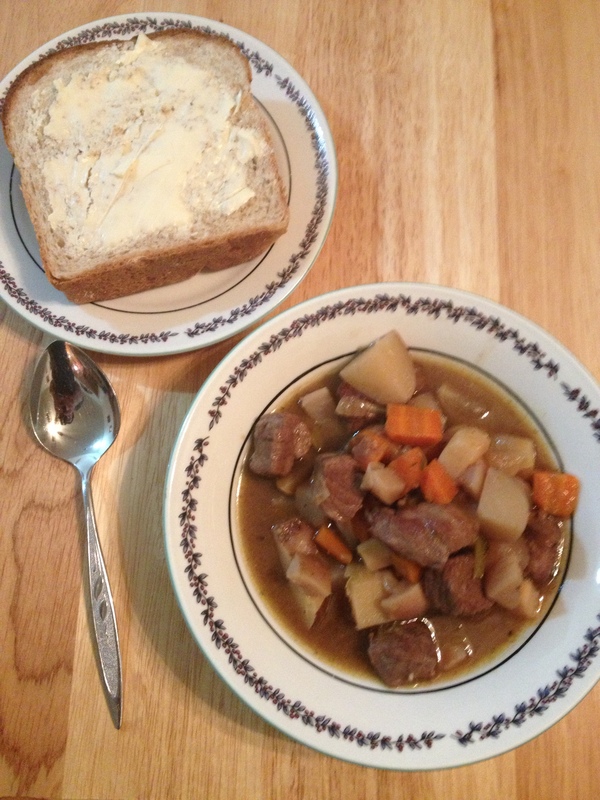 Out of nowhere, last week I began craving lamb stew. 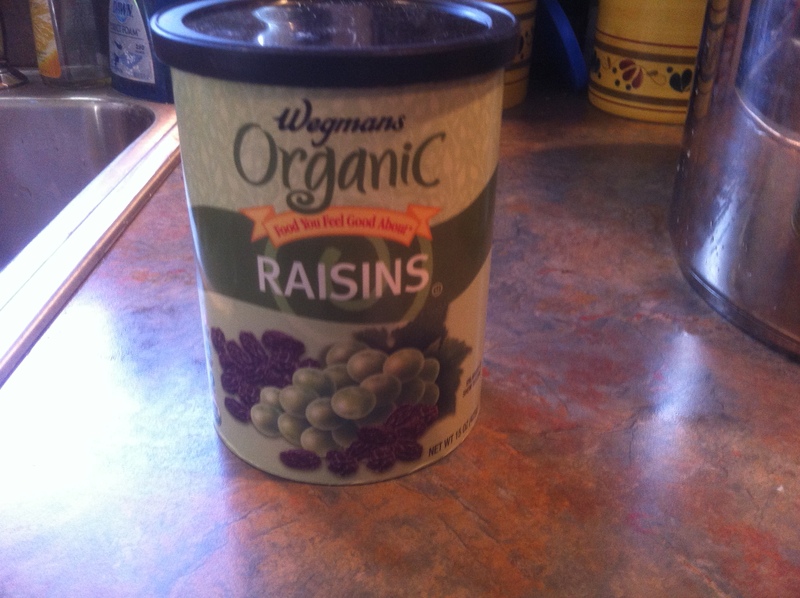 So, over the weekend, I answered the craving. 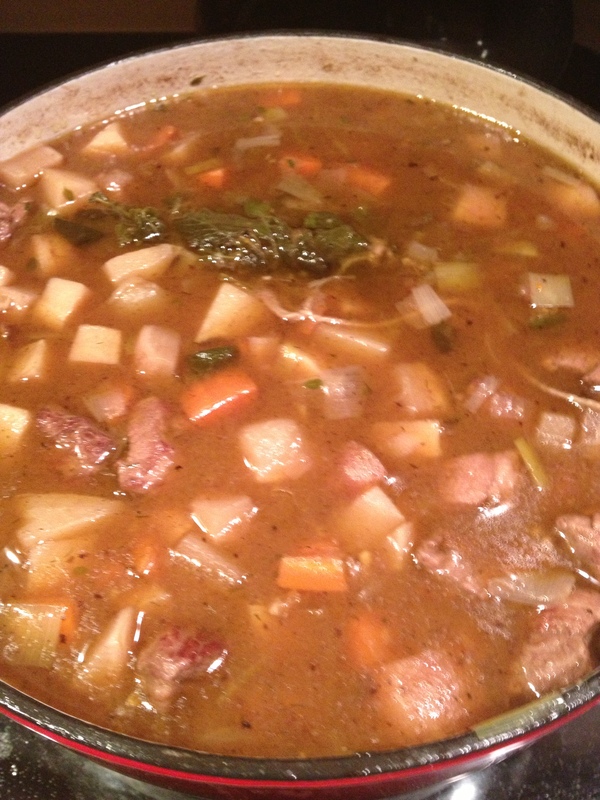 This lovely lamb stew is warm, savory and hearty. Just what you need to warm the soul as the colder weather is arriving. The star of the show…the lamb! Go with whatever you can find on sale. 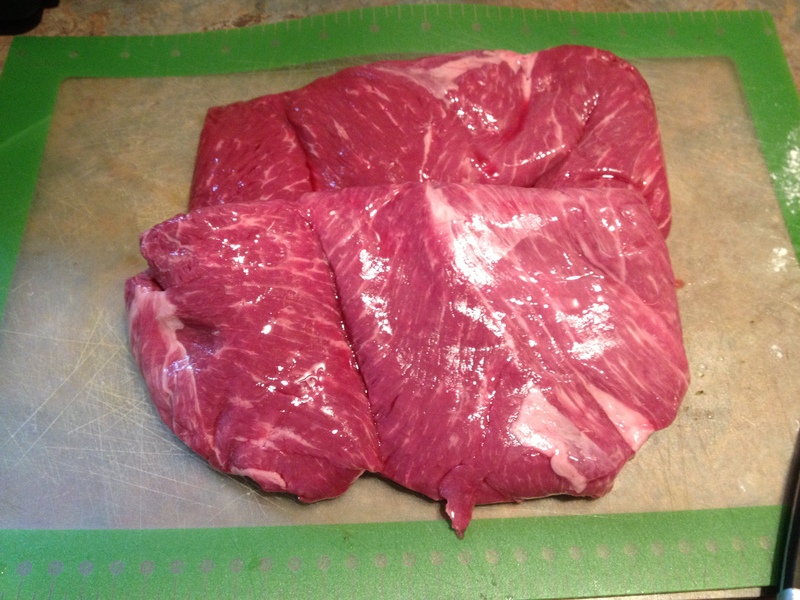 Our local store had butterflied loins on sale so two pounds came home. 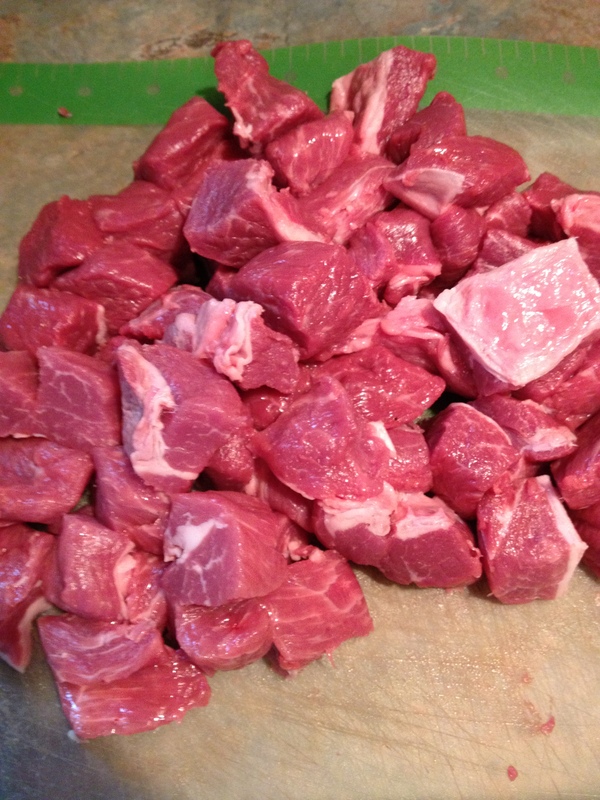 Cut the lamb into approximately one inch cubes. No need to be precise. The more rustic the better. 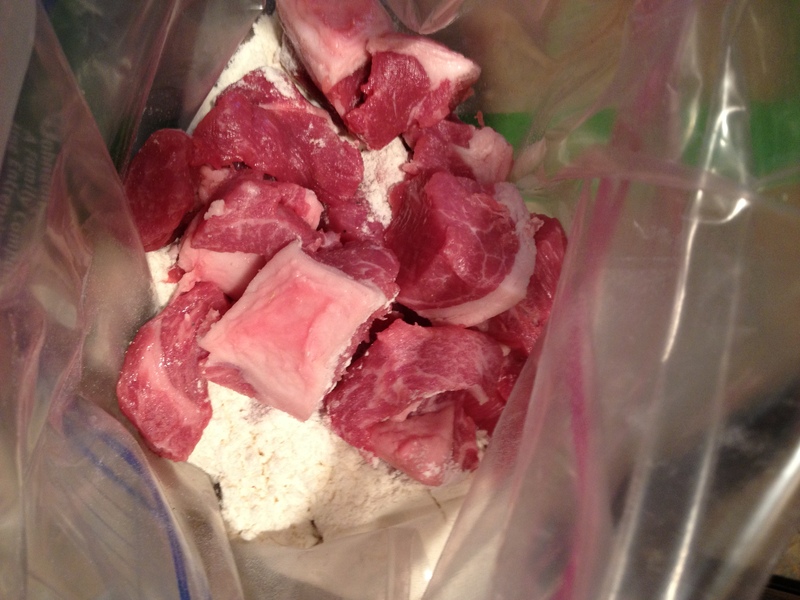 The lamb cubes go into a gallon size ziplock bag with a half cup of flour seasoned with salt and pepper. Shake well to coat all of the pieces evenly. Heat two turns of extra virgin olive oil over medium-high heat in a dutch oven. 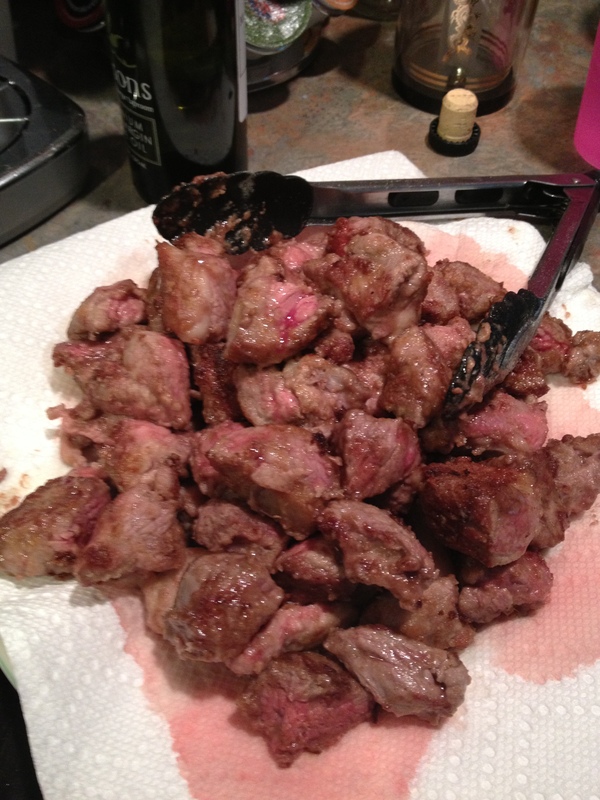 Brown the lamb on all sides and remove to a paper towel lined plate to drain. See all those lovely brown bits??? 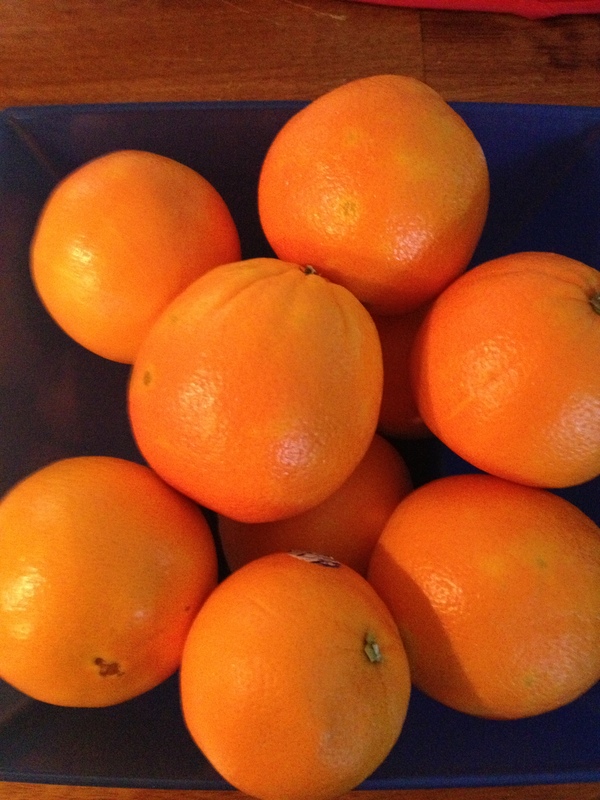 They produce amazing flavor! Be sure to scrap them all up! Dice one nice size onion and one head of garlic. 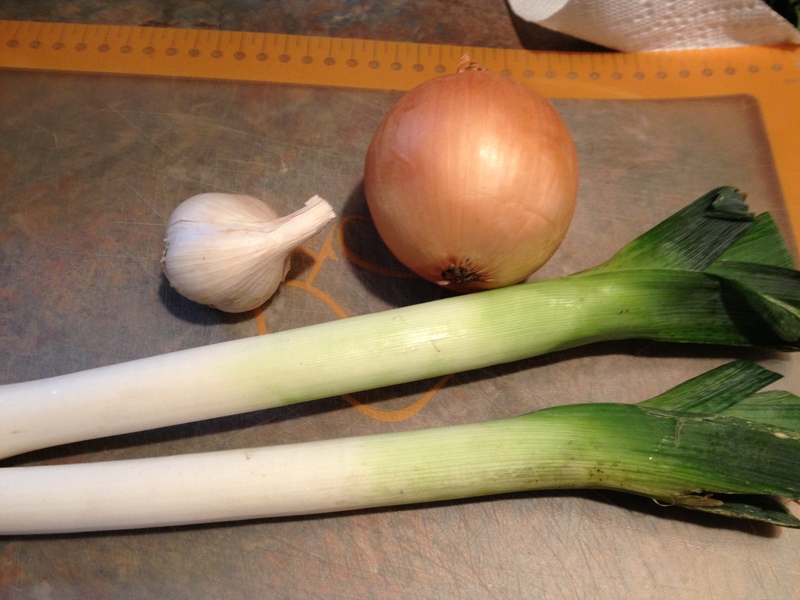 Cut two leeks in half and then slice. 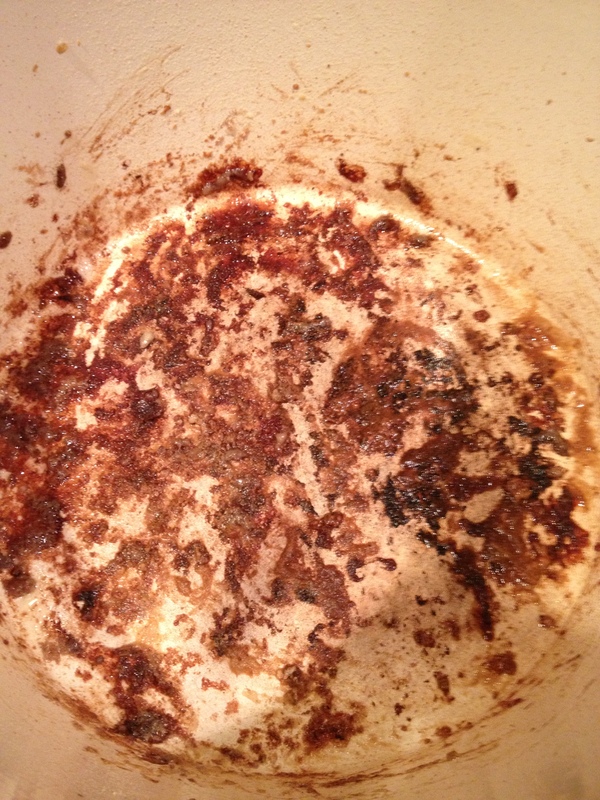 Saute the onion and garlic in the dutch oven with the lamb drippings. Salt well to sweat the onion. 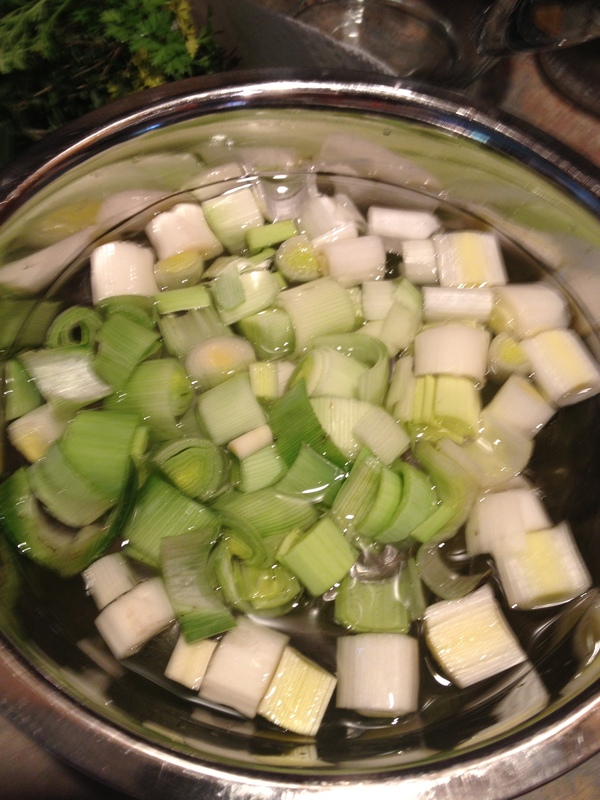 Get the leeks soaking in enough cold water to cover to clean. 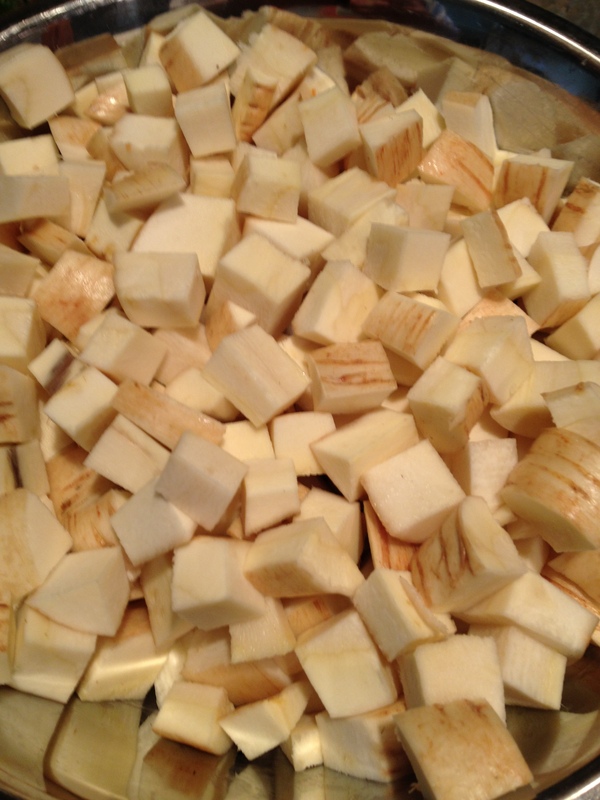 Chop eight turnips into pieces roughly the same size as the lamb cubes. Also, eight potatoes. 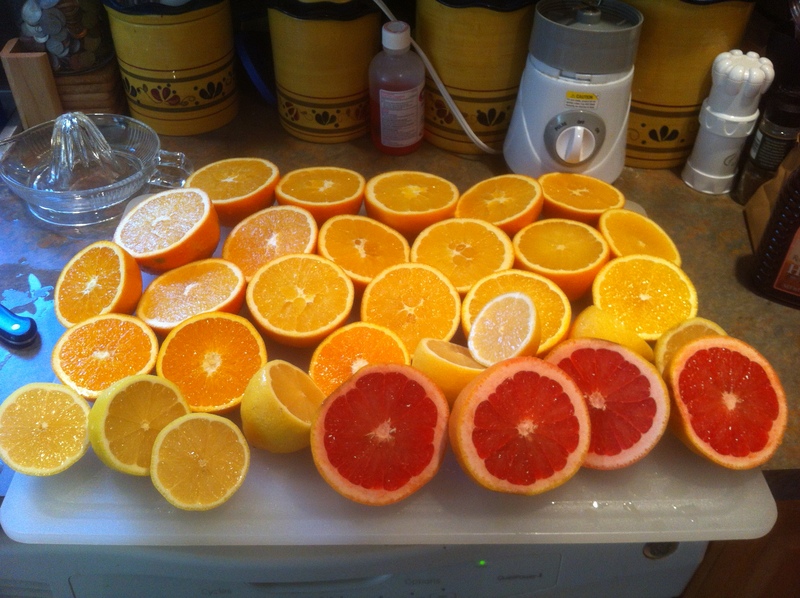 Last of the chopping, I promise! I grabbed a variety out of the potato basket. 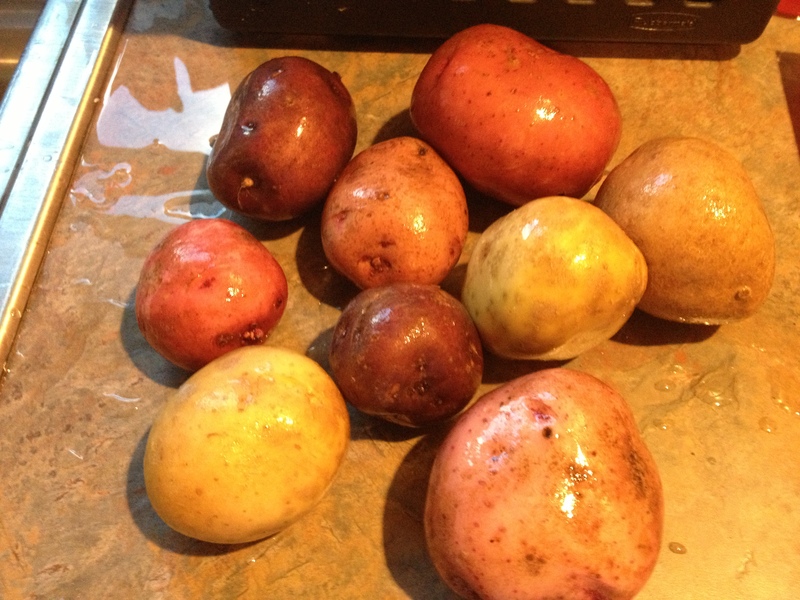 I think I had a few yukon gold, a few red and a few blue potatoes. 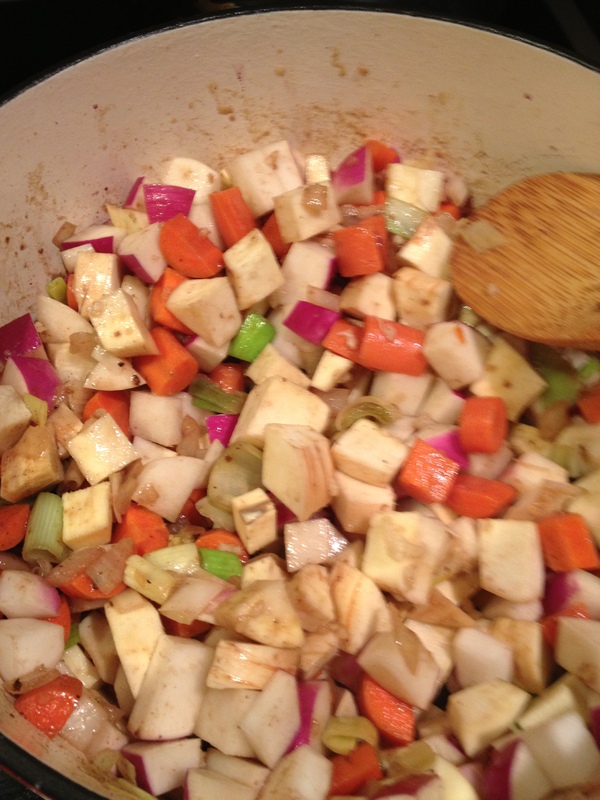 All of the root vegetables join the onion and garlic in the dutch oven. Saute ten minutes or so. 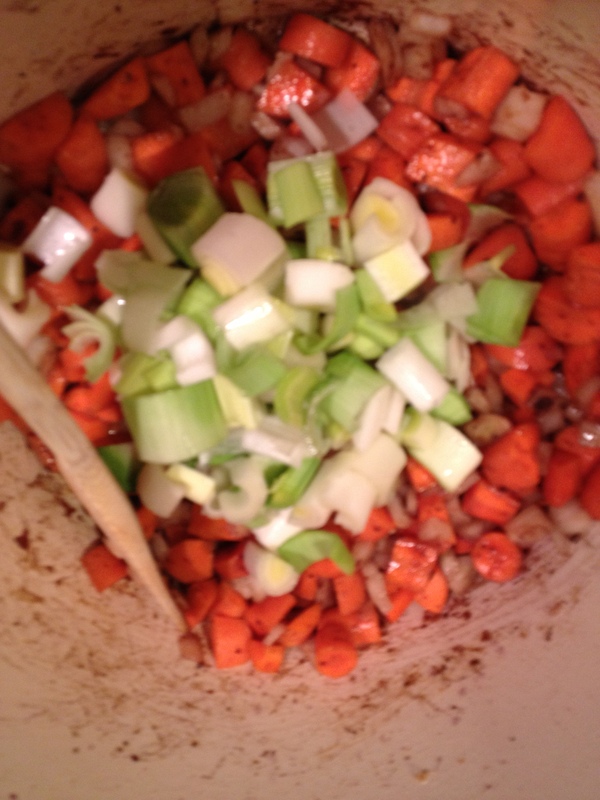 Strain the leeks and add them into the dutch oven as well. 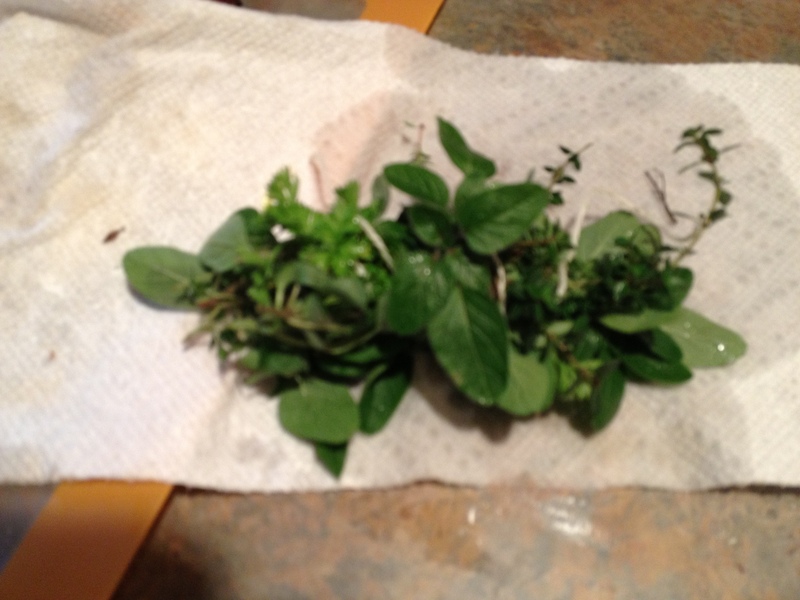 Next I ventured out to the deck to see what fresh herbs I could round-up. Believe it or not, I still have options! I grabbed some oregano, parsley and thyme. Bundle them together and tie with butchers twine. 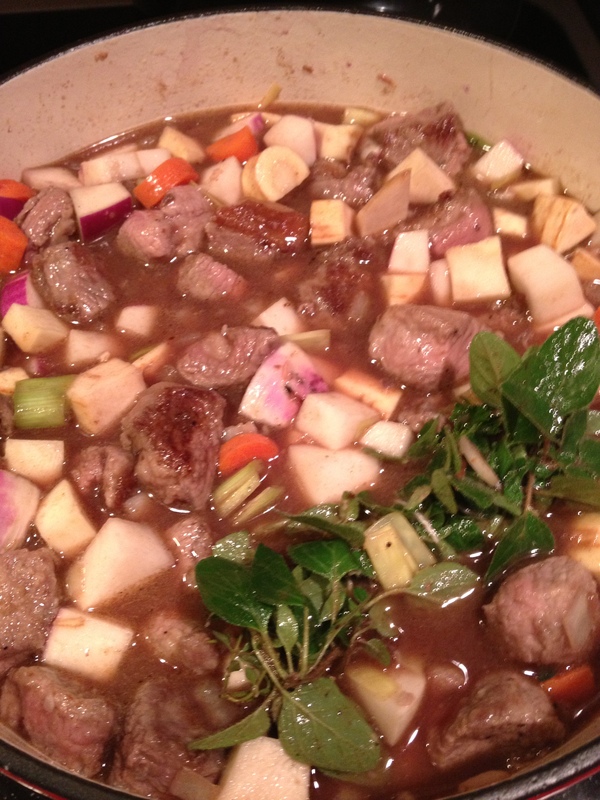 Add the herb bundle, one cup of red wine, four cups of beef broth, and the lamb into the dutch oven. 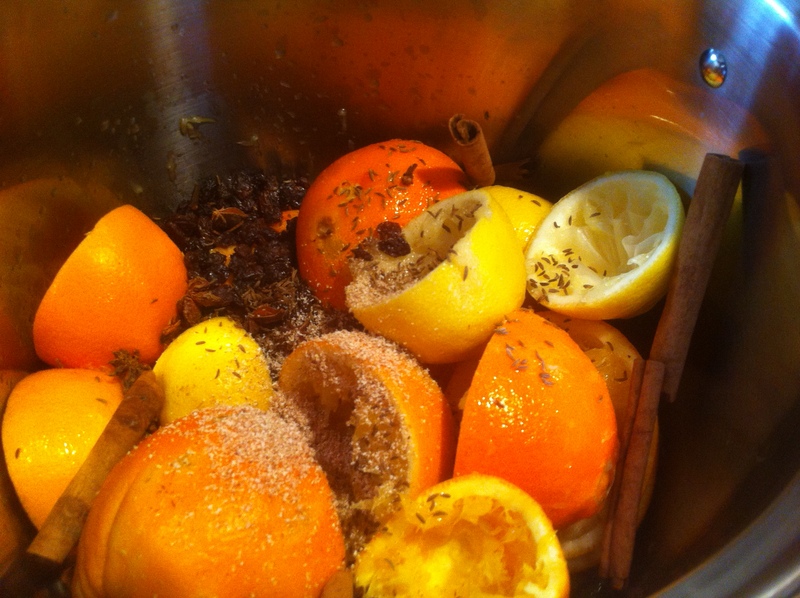 Also season well with fresh ground sea salt and pepper. Let me talk about the wine for a moment. I am a firm believer that if you won’t drink it, you shouldn’t cook with it. I use whatever wine is in the fridge for drinking. Bring the stew to a boil. Turn down slightly and allow to come down to a slow boil for about ten minutes to jump-start the cooking of the root vegetables. 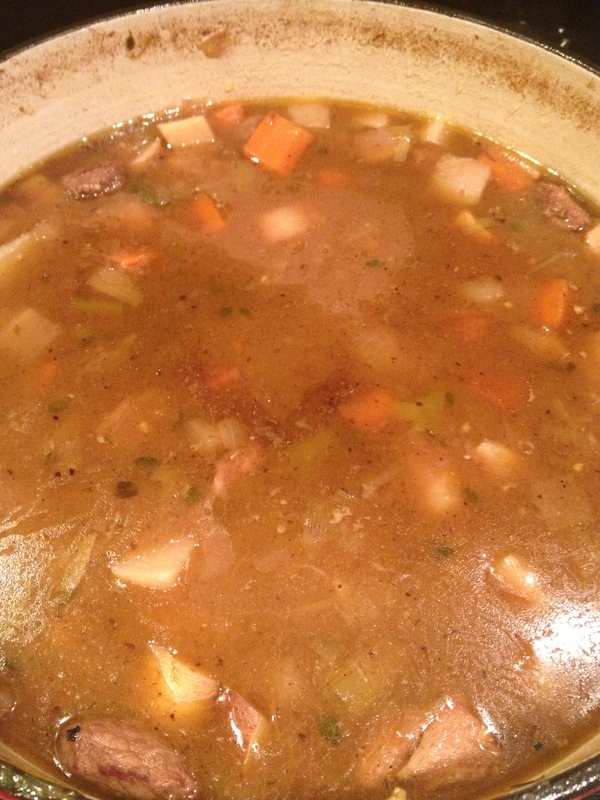 Reduce heat to low and simmer for a few hours until the stew has thickened to your liking and the vegetables are tender. I did not promise this was a quick meal. I do promise that it is worth every minute! When the stew is just about done, take a minute and slice up a loaf of your favorite bread. 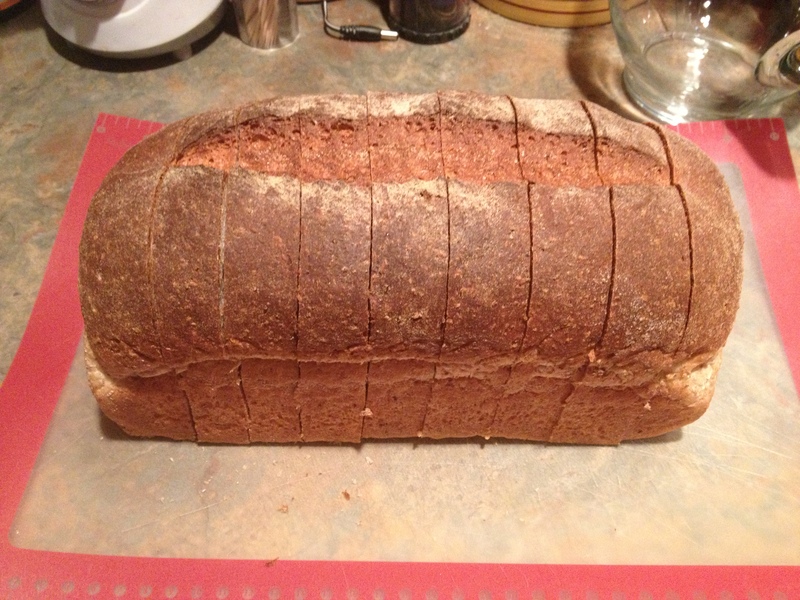 I picked up a loaf of organic honey wheat at the farmers’ market that was perfect for the occasion. When the stew has thickened to your liking, remove the herb bundle and serve. One bowl is more than a meal! Sunday breakfast has become a tradition in our house. On Sunday, breakfast is special. 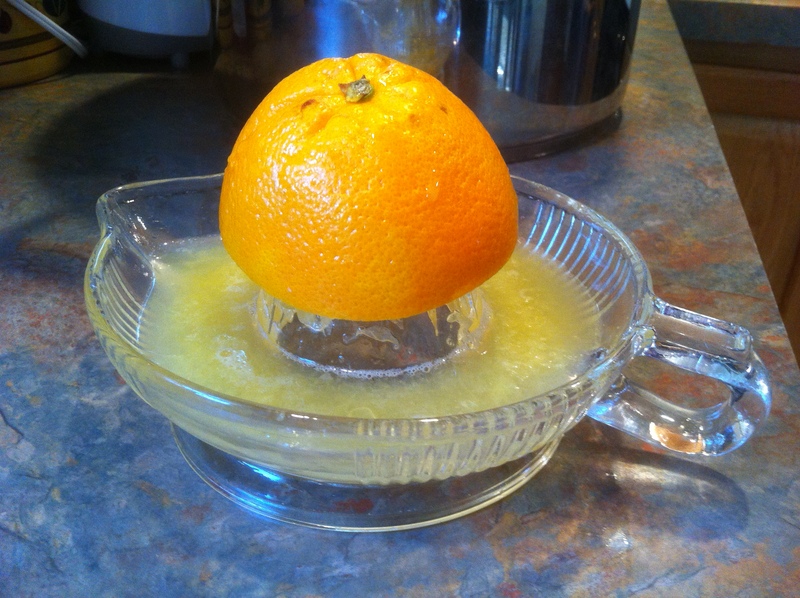 No skimping, no rushing! A nice, big, warm, hearty, savory meal to start off our day of relaxation. I try to plan for these things, but sometimes that just doesn’t happen and I search through the fridge and freezer to see what I can come up with. This was one of those weeks. 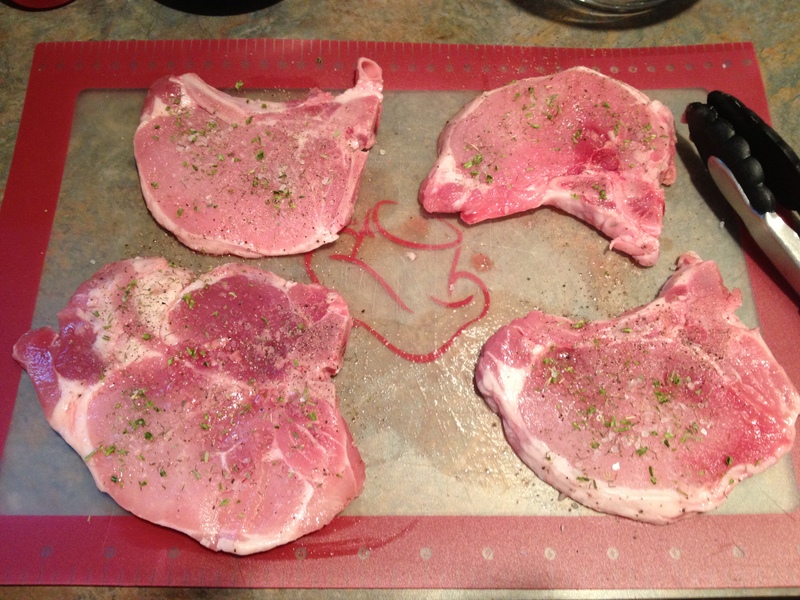 This week, I found four bone-in center cut pork chops in the freezer. Perfect! 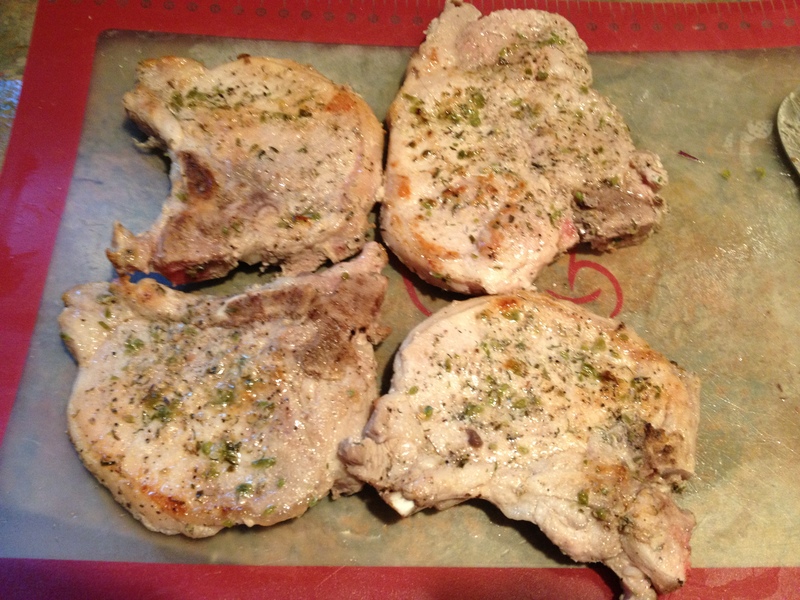 Season well with fresh cracked pepper and garlic infused sea salt on both sides. Once seasoned well, into a skillet which has been heated over medium-high heat with some mushroom sage infused extra virgin olive oil. Cook approximately two to three minutes per side. They will continue to cook once added in to the hash. 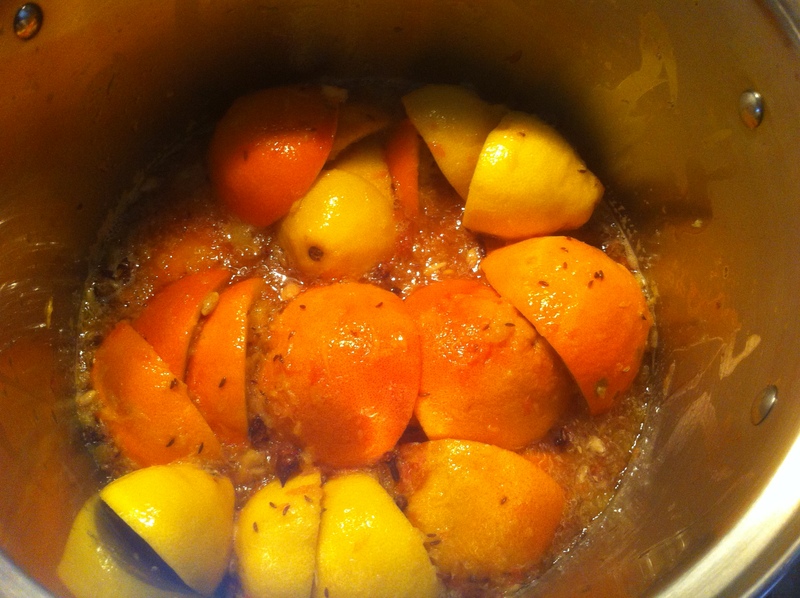 Once browned nicely, remove from skillet and allow to rest. 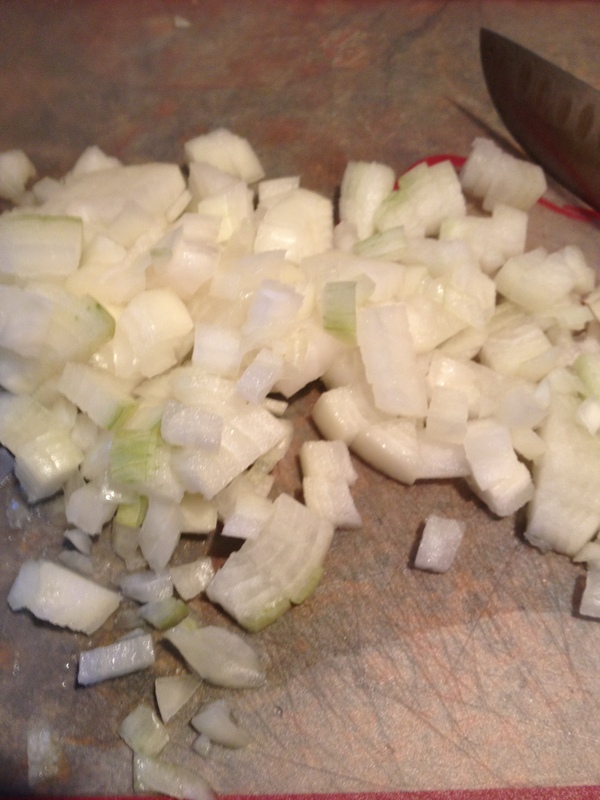 Rough chop one medium onion. Next, I grabbed some potatoes out of the potato basket. 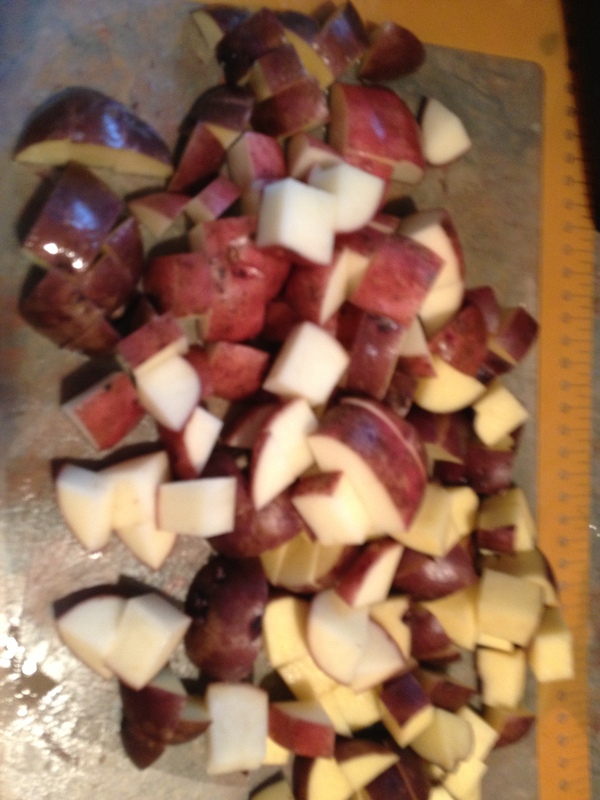 I used a variety of yukon gold, red potatoes and blue potatoes. Use whatever potatoes you have on hand. 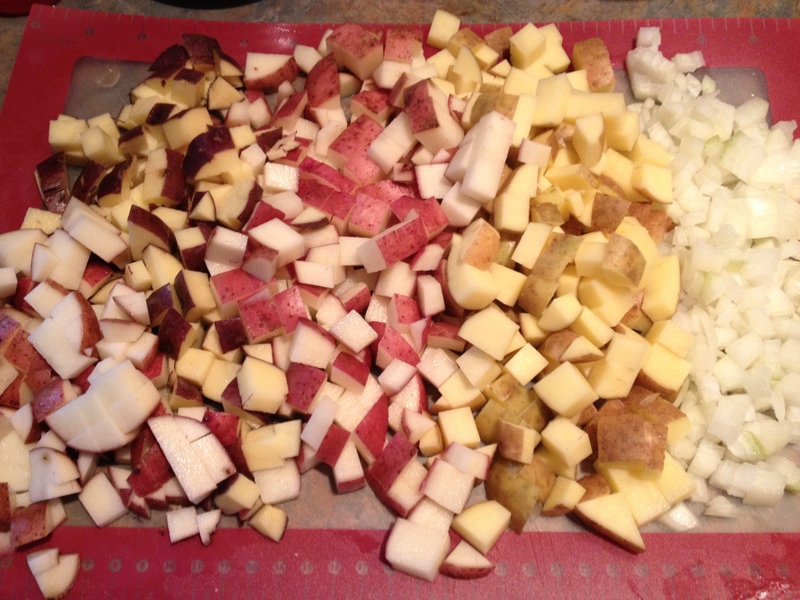 Rough chop all of the potatoes along with the onion. You should have a pretty decent amount of potatoes. 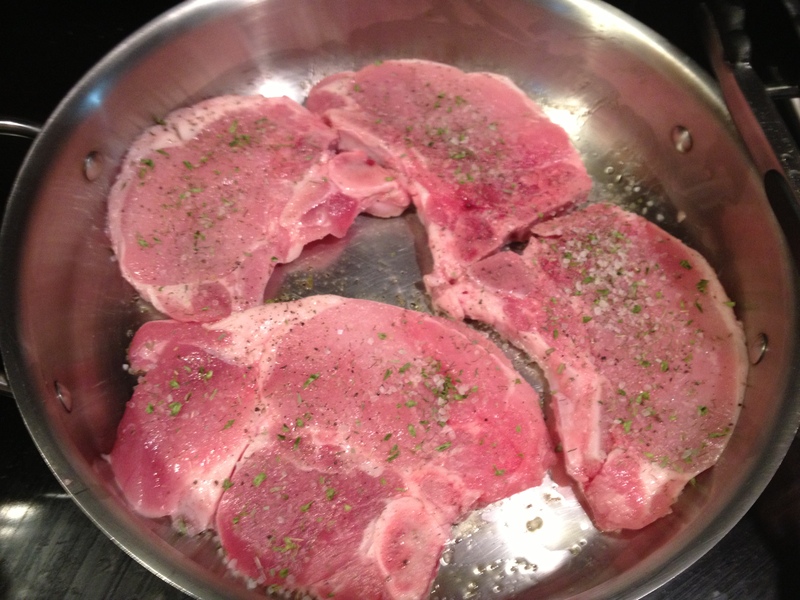 Add a little bit of water to scrape up all the nicely browned bits in the bottom of the skillet. 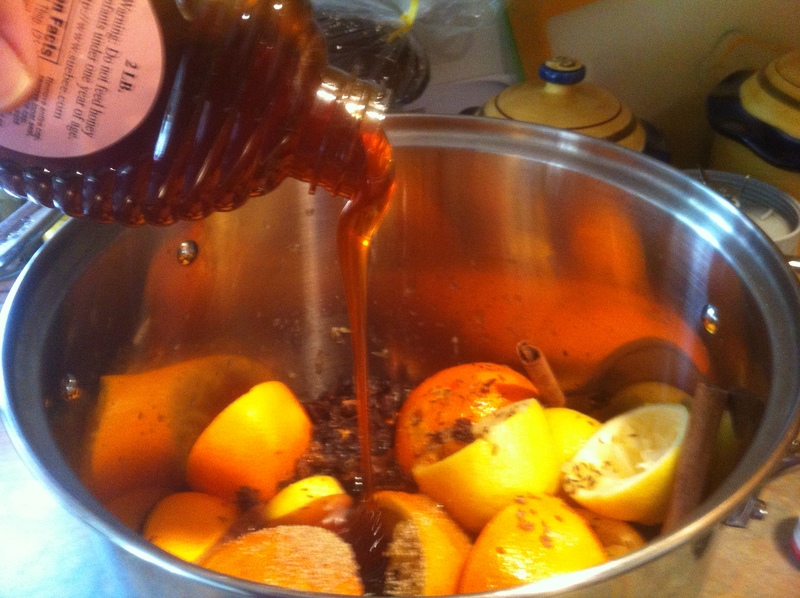 These brown bits equal amazing flavor! 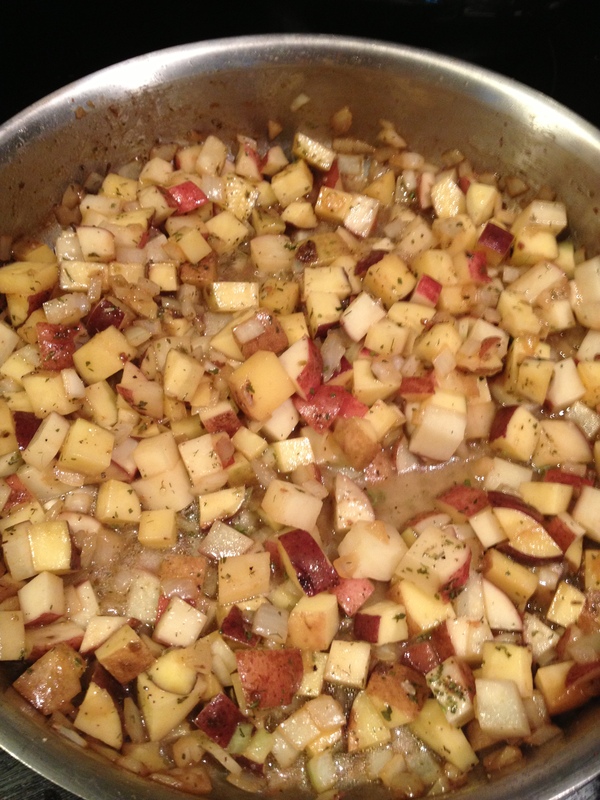 Add in the potatoes and the onion and allow to simmer until water is gone. This will help the potatoes begin to cook. 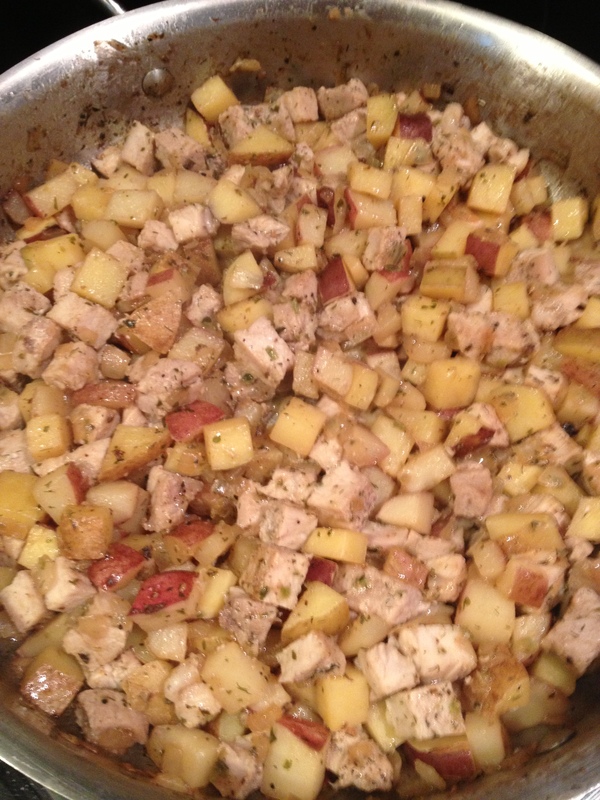 Continue to saute in the pan, but do not move around too much. You want the potatoes to get nicely browned. Rough chop the pork and add in to the skillet. 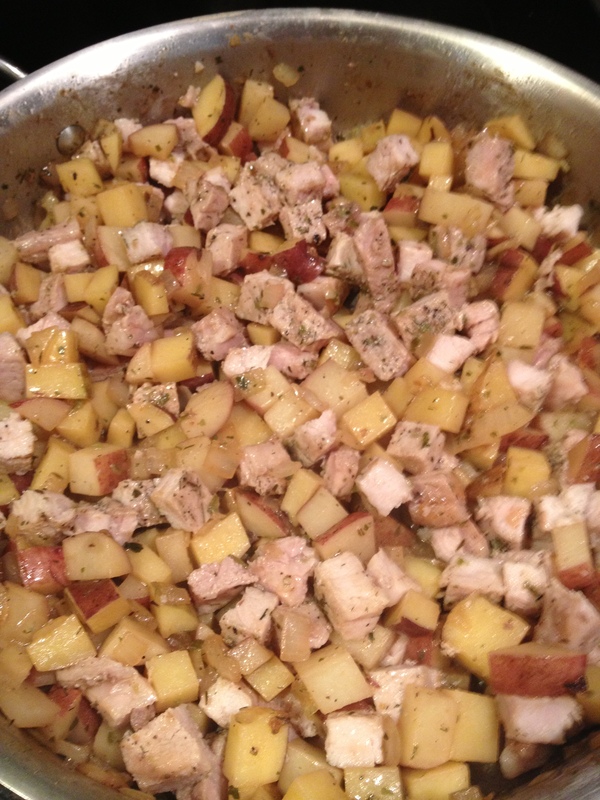 The hash is done when all of the water has evaporated and the pork and potatoes have lightly browned. 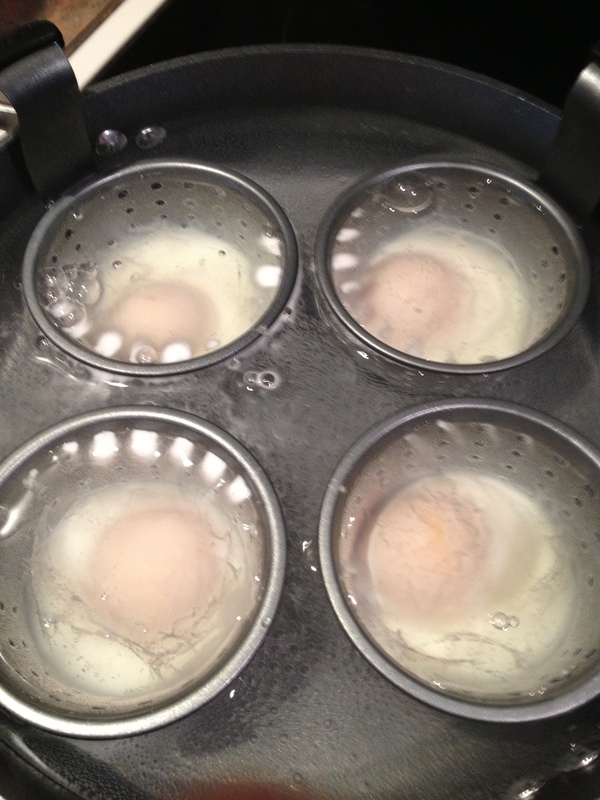 While all of this is going on in the skillet, prepare to make your poached eggs. 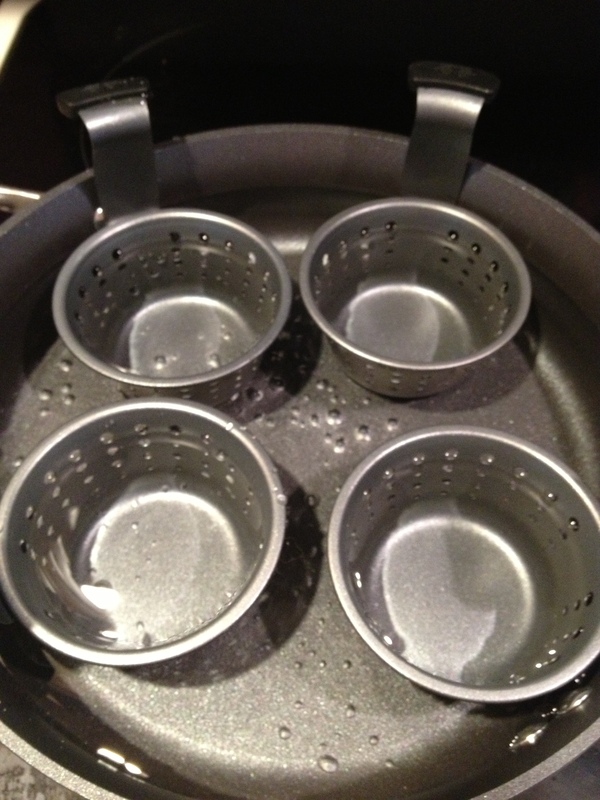 These have never been my strong point, so I invested in a poaching pan. They are now! 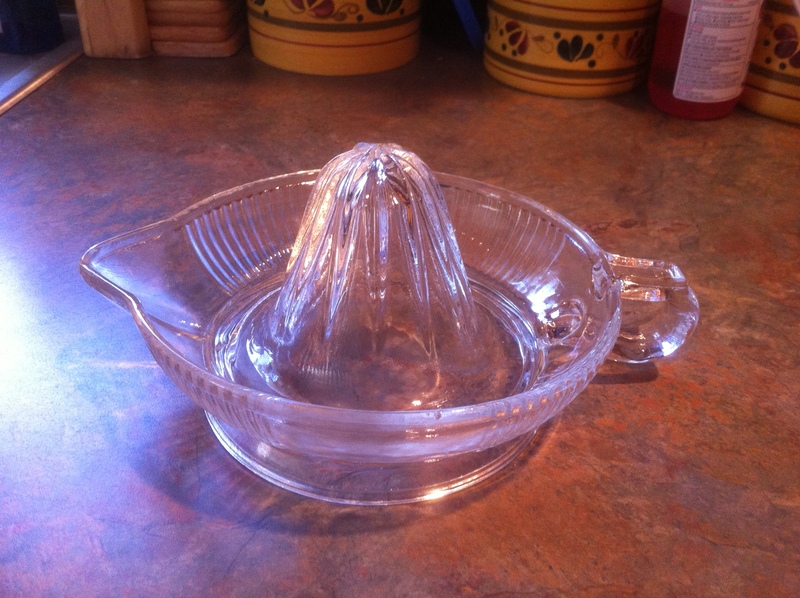 Good thing is, the poaching pan also doubles as a nice two-quart pan. 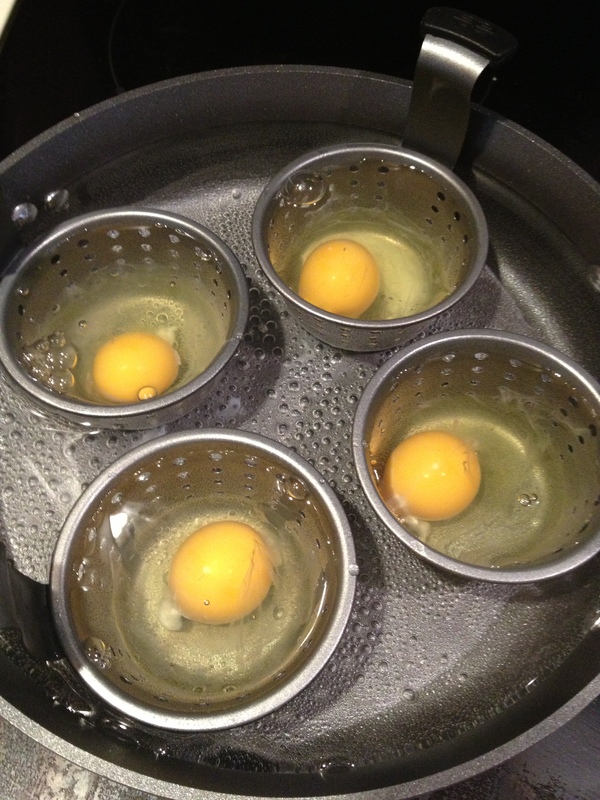 Once the water starts to simmer, not boil, it is time to add in the eggs. 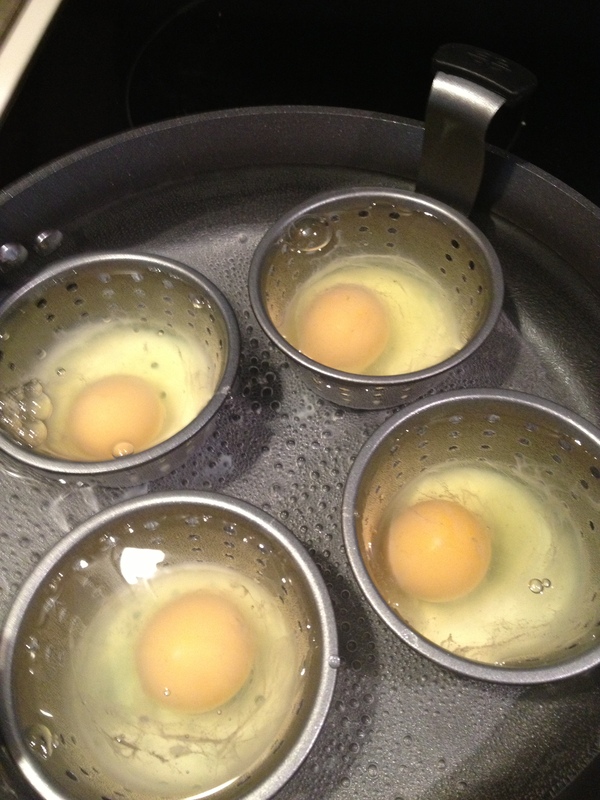 I cracked them into little glass bowls and then slid them into the egg dishes in the pan. Keep an eye on them. They can go from under to over done in a minute. 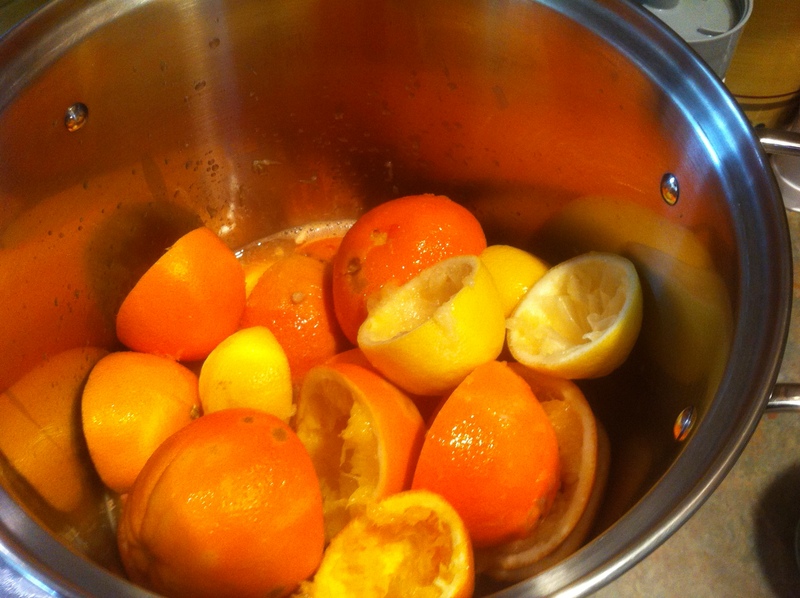 At three minutes they are not quite done yet. Right around five minutes? Perfect! 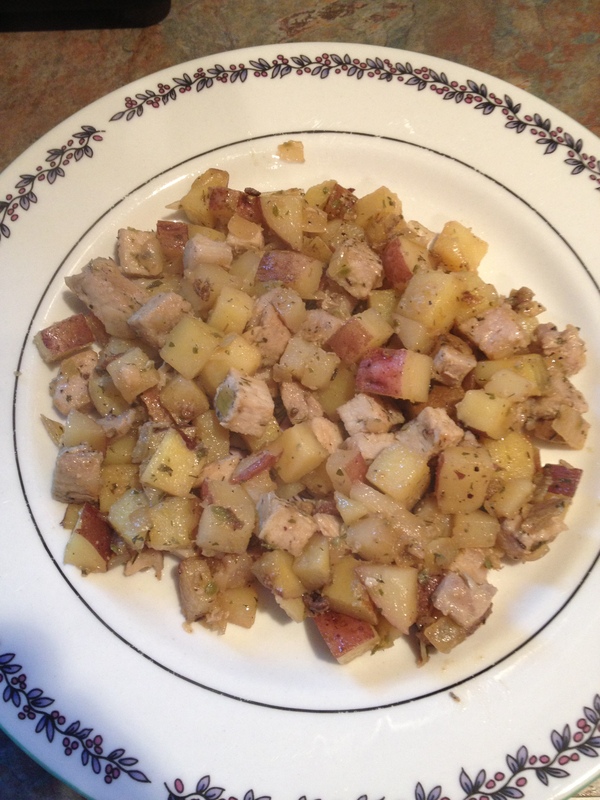 To serve, a nice size portion of the pork hash goes onto the plate. Remember, we only allow ourselves to eat like this on Sunday! This is not an everyday kind of meal! 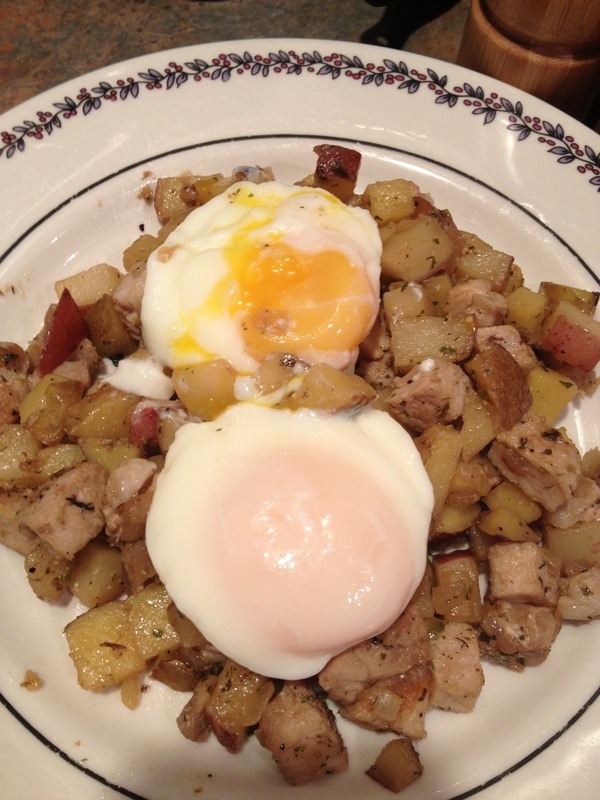 Two of the poached eggs top the pork hash. Yes, I broke one. It was going to get broken when I ate it anyway! You are now ready to enjoy.